When you have made it through the first interview, then a second interview you might think you're done with the interview process and you'll soon find out whether you'll be receiving a job offer. That's not necessarily the case. You may have to endure a third interview and possibly more interviews after that. Those interviews may be with managers, prospective co-workers, hiring committees, or other company staff. Why Would a Company Have So Many Interviews? At many companies, initial interviews are used primarily to weed out under-qualified candidates. The first interview, for instance, may be a phone screen by a recruiter, followed up by an in-person interview with a hiring manager or the manager for the position. Structuring interviews this way is a time saver for companies, allowing top-level employees to only meet with the most qualified candidates. If you're called in for a third interview, that's a great sign—it indicates that your previous conversations went well, and you are on a shortlist of job applicants. 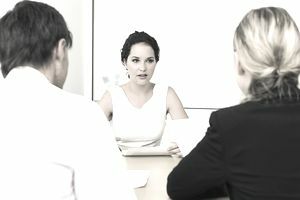 A third interview is used to ensure the candidate is a good fit for the job. It can also be an opportunity for introductions to potential co-workers and high-level managers. The questions in your third interview are likely to be deeper and more involved than in previous interviews. Expect behavioral interview questions. Come prepared with stories: How have you learned from a challenging experience? What was your biggest mistake at your last job, and what would you do differently? What's a project that you'd define as a big success? As well, interviewers may propose hypothetical situations (think: a frustrating client, a co-worker disagreement, or an unreasonable deadline) and ask for you to comment on how you would handle them. It's also possible that you'll get questions that are familiar from your initial interviews, such as "Tell me about yourself and your experience" and "How would your manager describe you?" The reason for the lengthy interviewing process is that companies want to be sure that they are hiring the right candidate because it's time-consuming and expensive to have to start the hiring process over if the candidate doesn't work out in the job. However, the good news is that if you are selected for a third interview or even a fourth or fifth interview, you are in serious contention for the job and will be competing against fewer applicants because the candidate pool shrinks as more applicants are rejected. When you get to a third or fourth round interview, you can consider yourself a finalist for the job. The best way to prepare for a third or fourth interview (or fifth interview) is to update the company research you have done already. Use these interview tips to ensure you are well prepared for the interview. Check Google news (search by company name) for updates. Check the company website to see if the company has issued new press releases since your last interview. Read the company blog and social media pages, so you are armed with the most current company information. Consider upping your preparation a notch because this is an opportunity to knock the other applicants out of contention and get a job offer. For example, Howard Reis created an "Interview Brag Book," which was a binder with information on the industry, the company, the problem they were trying to solve and how he was the best person to solve it. Howard included relevant industry articles, examples of his work and some specific suggestions for the first 90 days on the job. He got the job. If you haven't already done so, be sure to discover who you are connected with at the company. If you've already reached out to your contacts, give them an update on the status of your application. Let your connections know where you are in the hiring process and ask them for any tips and advice they can give you for this interview. The questions you will be asked will be similar to the questions you were asked during the second interview. Review the interview questions you will be asked and also be sure that how you respond this time is consistent with how you responded to your other interviews. If there is anything you wish you had mentioned when you interviewed before, be sure to work the information into your responses to these questions. Use previous interviews. Review your notes from previous interviews. If you don't have any, try to recall the discussions. Think about any questions repeated in both interview—these are clues about what the company seeks in an applicant. Prepare stories that illustrate your strengths in areas that will be important to the position. Research the company. By this stage of the interview process, interviewers expect you to have a certain level of knowledge about how the company works, as well as its goals. If you haven't already, spend time researching the company. Review any recent press and browse through the company's social media accounts. Look up your interviewers. Look up anyone you'll be meeting with on LinkedIn. That way, you'll know interviewers' titles and responsibilities at the company, as well as their previous experience. Speak with confidence. Remember, if you've made it this far in the interview process, the company is seriously interested in you as a candidate. Display confidence in your previous work, as well as the work you'd do if you got the job when answering questions. Ask your own questions. If you haven't talked about salary and compensation, this is the moment to do so. As well, you can inquire about the culture at the company and the nature of the work. Make sure to come prepared with some questions to ask. You may have already said thank you once or twice before. Say it again. Use this as an opportunity to reinforce why you're the best candidate for the job, as well as to show your appreciation for being considered for the job. Make sure you research how to say thank you for the interview, along with sample interview thank you letters and email messages. Ask the people you interview with for their business cards so you will have the information you need to send a thank you note. If you interviewed with multiple interviewers, send them each a personal thank you email message or note.